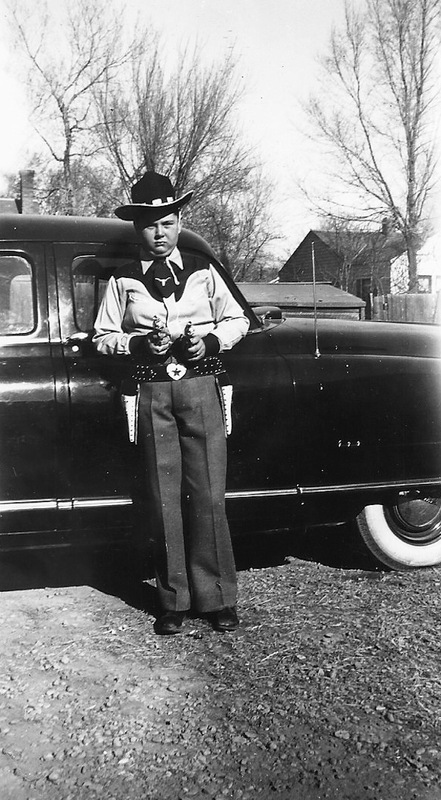 Joan Jacobs Brumberg is author of Kansas Charley: The Boy Murderer, now available as an ebook. She is an emeritus professor of history at Cornell University and author of The Body Project: An Intimate History of American Girls and Fasting Girls:The History of Anorexia Nervosa. This type of studio portrait is as American as the diaries of adolescent girls or pictures of girls with dolls and horses. 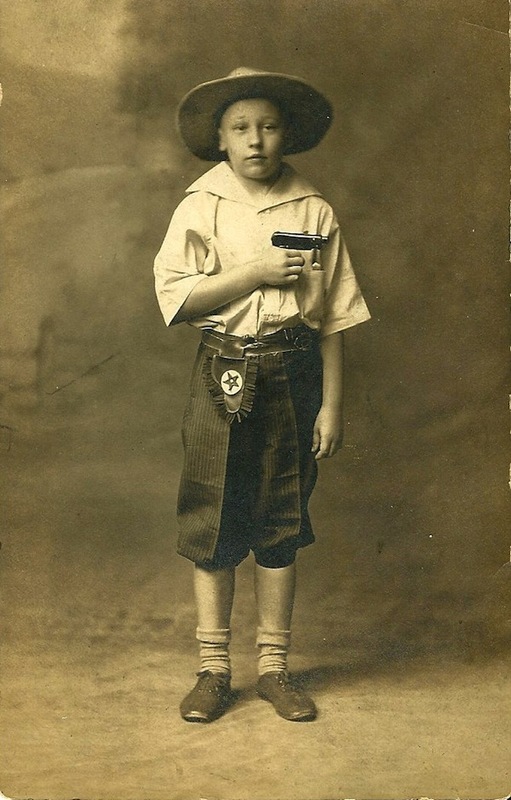 This is a classic American icon: a pretty little boy with ringlets who looks to us like a girl but his gender is marked by giving him a gun. Commercial portraits like these are commonplace. You can find them at garage and junk sales and, of course, on eBay by the hundreds. Endorsed and paid for by proud American parents, the studio set ups illustrate how longstanding the American love affair with the gun has been. 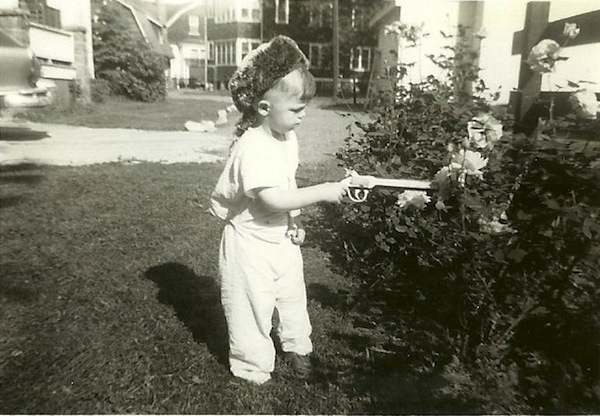 Taking affectionate pictures of boys with guns -- to mark a first hunt, a birthday, or at Christmas -- was part of the process of recording a son's development. 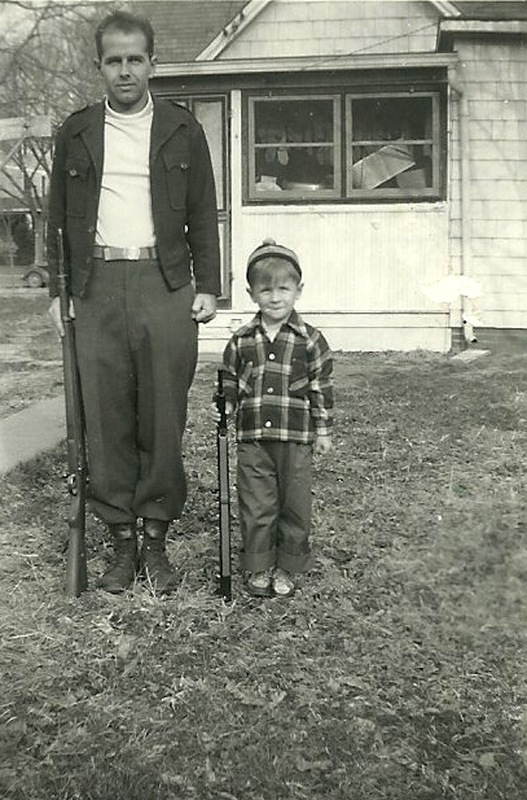 Many contemporary families have snapshots of boys with toy shot guns and rifles next to the family Christmas tree or car. 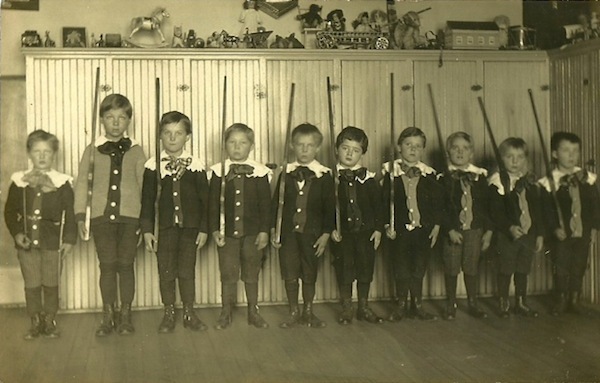 In the nineteenth century, many boys grew up learning that the ability to shoot to secure food was central to the adult male role. 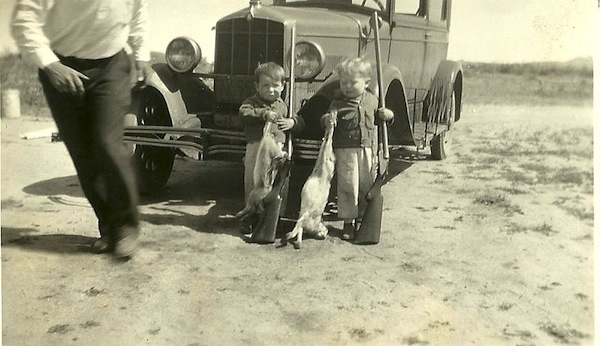 As they aged, boys got careful instruction on the use of guns from fathers and uncles and, in the twentieth century, as food sourcing changed, from pamphlets and books, frequently provided by the National Rifle Association. 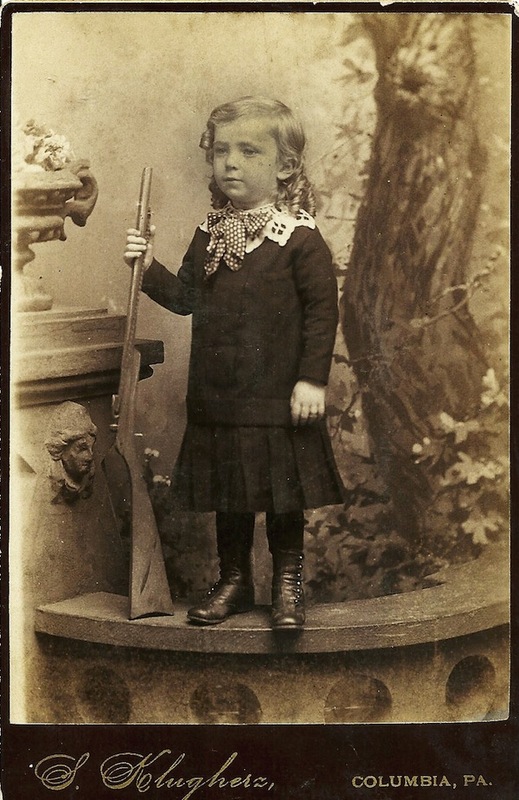 But some boys, like Charley Miller, an adolescent murderer in the 1890s whom I have written about, purchased cheap hand guns in a show of braggadocio and then used them to kill. 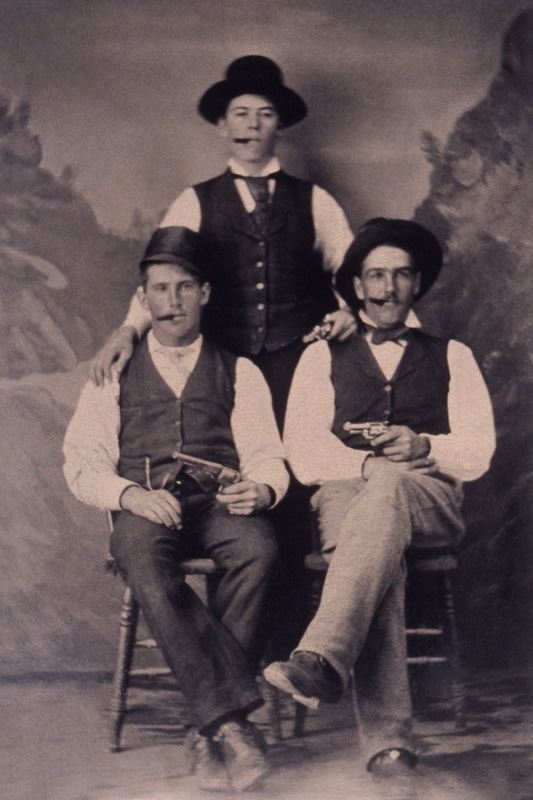 Standing around in a studio posed with guns and cigars was a playful show of maturity for youth whose stage of life was characterized, then as now, by emotional volatility. 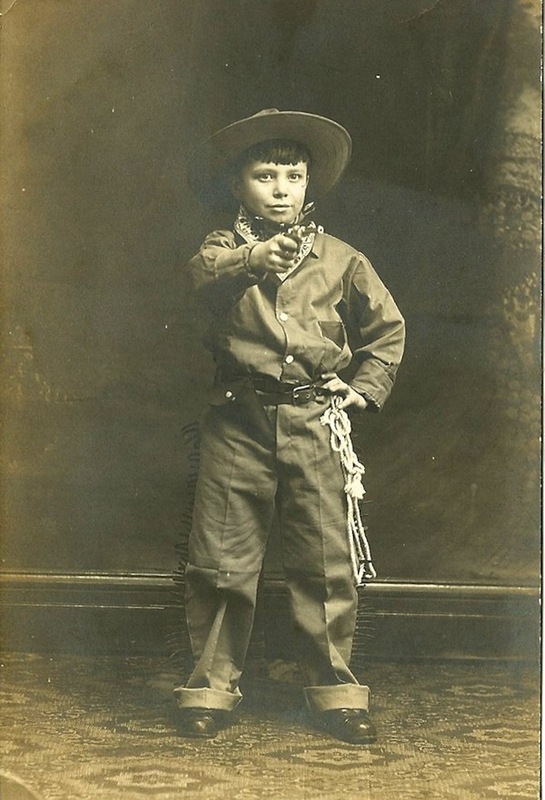 As the twentieth century progressed, snapshots replaced studio portraits and thousands of young boys posed in mass-produced cowboy outfits -- duded up -- like Western gunslinger stories and films. 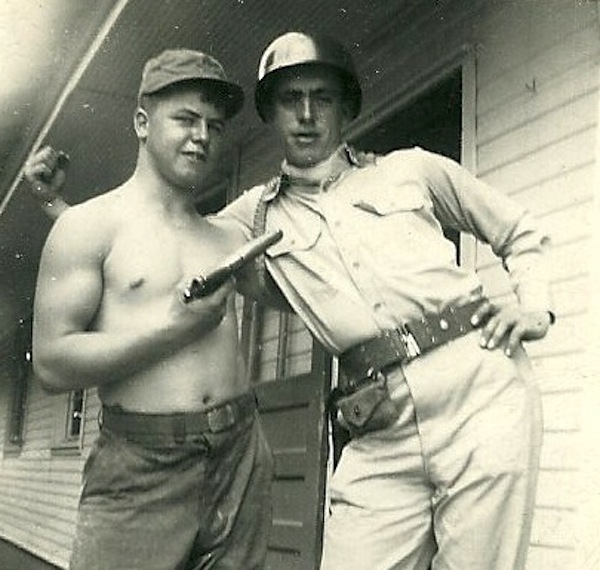 In peace and in war, those close to draft age displayed real weapons in postures that were less playful and more aggressive. The level of male violence we live with today should not shock a nation where pictures like these are endemic. 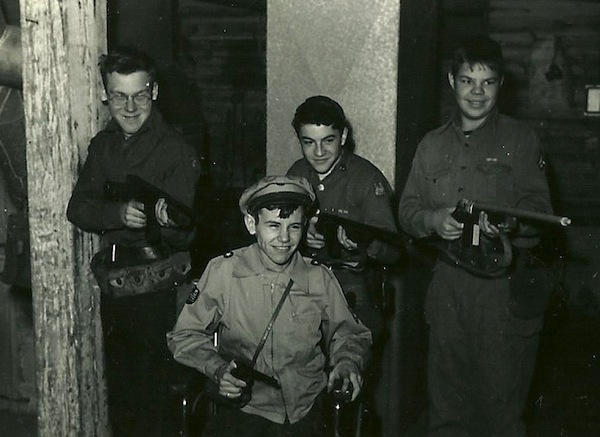 The archives of American social history provide little comfort for those of us anxious to sever the connection between boys and guns. We may be working against the grain, but it is worth it.